Nitrogen Generators for Heat Treating and Annealing applications. Nitrogen is an extremely important variable when designing the space you will utilize to do your heat treating. The purest possible nitrogen is important when you are doing a heat treatment of any kind of metal, regardless of the technique you may be employing to get the job done. 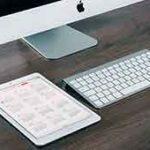 The nitrogen based atmosphere required for processing a variety of metals with heat treatment will vary depending on which surfaces you are working on, which kind of furnace you have in place, and which metals you plan on working with. 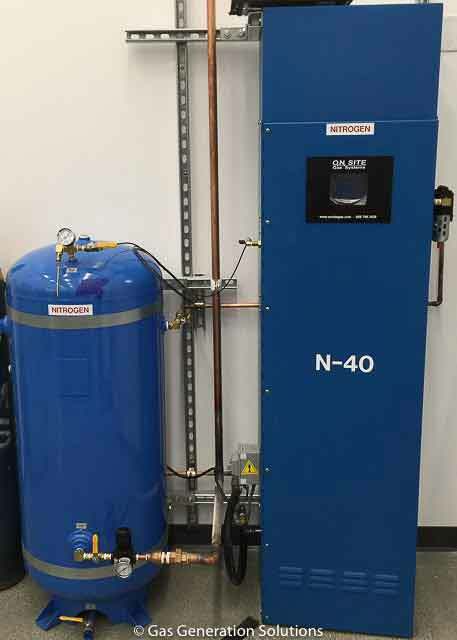 You will need a nitrogen generator for heat treatment that gives you all the best options in flow and volume, while also bringing you the highest quality nitrogen gas for your projects. 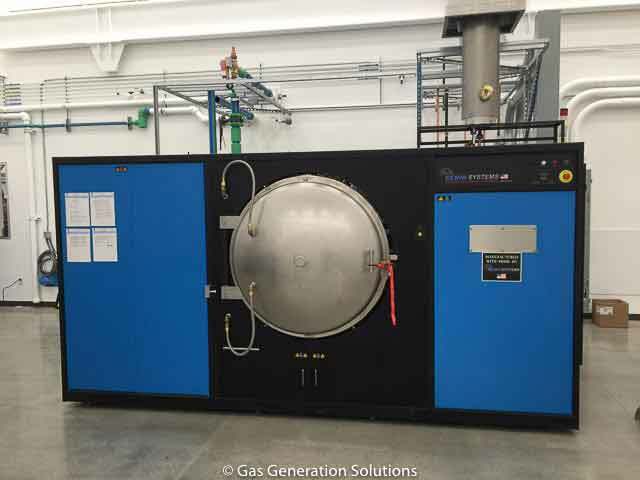 For those who value the highest purity nitrogen for their metal heat treating needs, look no further than the industrial options made available by Gas Generation Solutions. 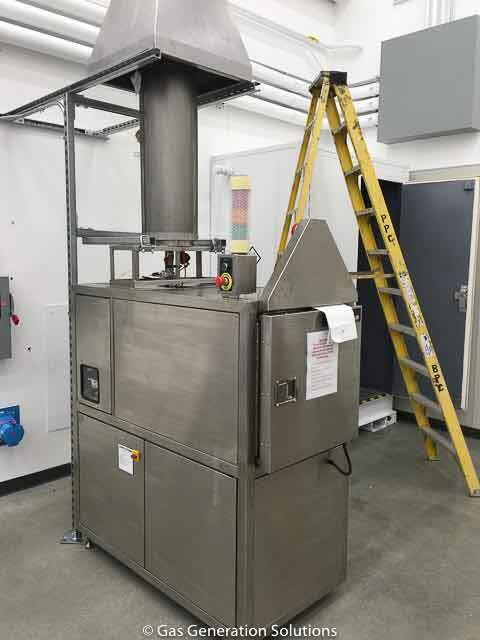 We can provide you with the nitrogen generators for heat treating that your company needs, regardless of size or what your budget for a gas generation system is. In addition, our nitrogen generation systems allow for expansion, and when you are using them in the heat treatment industry, they typically “pay for themselves” within just over one year. Anyone in the heat treatment field can tell you, safety is a serious matter in this industry, so using anything less than the very best nitrogen gas for your work atmosphere is not an option you should entertain. Regardless of your volume and flow needs for the kind of heat treatment your company offers, Gas Generation Solutions has the solution you are looking for. Nitrogen Generator for Heat treating furnace. 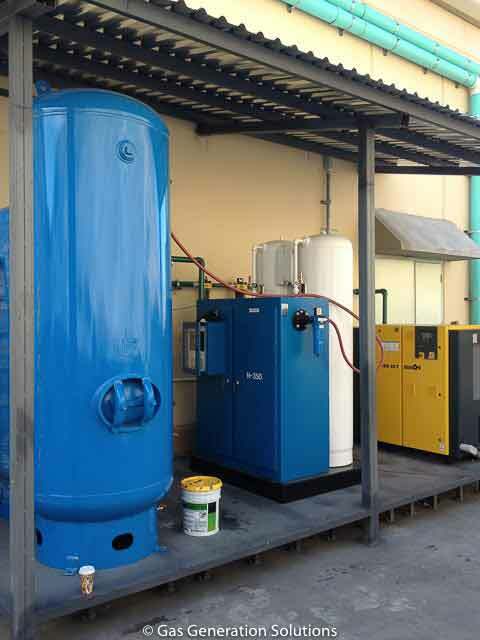 Medium sized nitrogen generator for heat treating outdoor installation.